On the 21st March, we will once again be holding our 15th Retail and Leisure Summit, which is very kindly hosted by Hogan Lovells LLP. During the event, Matthew Hopkinson from LDC will be revealing the top level findings from our latest report on retail and leisure trends in H2 2016. Matthew will cover topics including the increase in leisure retail, how vacancy rates are changing and the overall health of retail in towns and cities across Great Britain. Each year we recruit a team of industry experts to join us on a panel who will discuss the findings from the report and take questions from chairperson Emma Simpson, Business Correspondent at the BBC and from the audience. This year we are delighted with the caliber of our panel and are looking forward to the debate and insight that will come from bringing this group together. 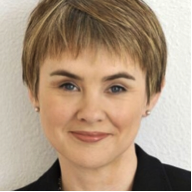 Emma Simpson is a correspondent with the BBC Business and Economics Unit and reports on a range of stories across BBC Network News. During her many years with the BBC, she’s reported from abroad and across the UK in a number of different roles. She arrived in the Business Unit four years ago to help out with some holiday cover and has been kept busy there ever since! As part of her duties, Emma keeps an eye on the changing face of retail. In 2009 Matthew joined Local Data Company (LDC) as its first ‘non-founding’ Director. At LDC Matthew has led the growth of the company’s revenues to 52% (CAGR – 5 years) along with developing the data insight and collection side of the business, which has resulted in winning high profile clients such as the John Lewis Partnership, HSBC, Facebook, Alliance Boots, Tesco, PwC, O2, Henderson Global Investors and Experian. Most recently he has pioneered the delivery of Data Visualisation and Aggregation into the retail and leisure sectors. He has undertaken joint research in all aspects of the retail and leisure market with leading universities including Oxford, Cambridge, UCL, Loughborough, Stirling, Manchester and Cardiff. 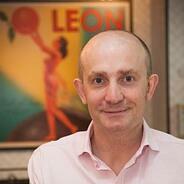 He is the recognized expert on all matters regarding the ‘High Street’ and ‘UK retailing’. His reports and commentary regularly appear in the national, local and industry press. He is also a regular contributor to the BBC (TV & radio), Sky, ITV and Bloomberg news outlets. Matthew was part of the team that wrote the ‘Alternative future of the High Street’, which was led by Bill Grimsey in September 2013. With extensive experience of multi-site consumer-facing retail, franchise and commercial activities, John Upton is delighted to be part of naturally fast food chain, LEON. LEON’s core mission is to help everyone to eat well and live well and John’s role is to focus on how LEON can be even stronger for both customers and teams. He sets out to make everything LEON does simple, easy and enjoyable for everyone on both sides of the counter. John is a passionate developer of people and strongly believes in the value that culture, training, effective leadership and role modelling can make to an organisation. He was formerly a senior director at McDonalds UK. T2 launched in Australia in 1996, where it now has an iconic and loyal following. Darren joined the retailer in June 2015 and is building the portfolio and brand across the UK and USA. Darren has spent his entire career in the retail industry, having joined the once mighty Radio Rentals chain as a Christmas temp at the age of 17, he worked his way through their internal development program becoming their youngest store manager, in a 700 store estate, at the age of 19. 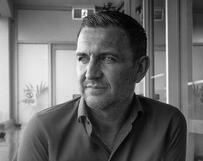 Darren then moved on to Fashion retail for many years, followed by the launch of Orange Retail. Darren has experience across multiple genres of the Retail industry, including leading the Argos business in London, and heading up the expansion of the Hotel Chocolat Retail business between 2009-2014. 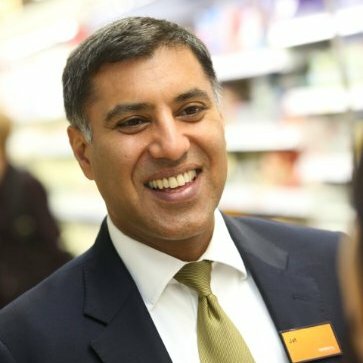 He is known for his direct and straight talking customer-centric approach, good humour, and for being unashamedly passionate about the Retail industry, both as a provider and a consumer. Darren is a committed supporter of the Retail Trust, the Charity for people in Retail, and is Chairman of their annual fundraiser. 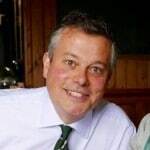 He also works with Retail Week Live as part of their advisory board. Jat is Head of Commercial for the Land Securities Retail business and his team are responsible for all research and insight, consumer experience and service and Retail partner CRM. As well as development leasing. 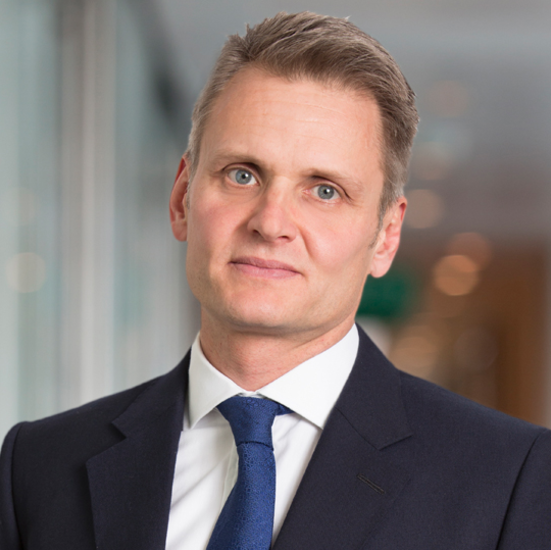 Jat joined Land Securities in 2010 prior to which he held senior commercial and marketing roles at Sainsbury’s, HJ Heinz and Safeway. A graduate of UCL, Jat is married with 3 teenage children and lives in Chiswick. Sophie is the National Head of Retail and Wholesale at BDO LLP. She is an Audit Partner with over 25 years of experience of advising clients. 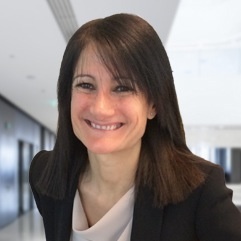 She is passionate about the retail sector and has specialised in advising large private, private equity owned and listed clients from within the sector throughout her 25 year career. She leads the strategy and development of the sector nationally and works with clients as they navigate an ever-changing environment. Outside client work, she is a member of the ICAEW Retail Sector Report Working Group, drives the weekly BDO High Street Sales Tracker which tracks LFL sales and leads the BDO Retail FD Forum. A partner in the real estate department, Oliver deals with a broad range of UK real estate matters. These include investment, development and regeneration, portfolio management, occupier requirements and advising on the real estate elements of distressed debt. Oliver has acted for various retailers. He has also acted for many landlords and on various high profile retail insolvencies. Oliver is the UK real estate representative member of the Hogan Lovells Fashion and Luxury Brands Group and Retail and Consumer Goods Group. We look forward to seeing you at the event. If you haven't registered for your space at the event, they are getting booked up very quickly, so please click here to register today.